I first visited Grand Teton National Park on a family trip in 1999, the summer before my sophomore year of high school. In the same way my parents and maternal grandparents had in years passed, I instantly fell in love with the dramatic peaks and idyllic mountain lakes. We visited at least once per year along with aunts, uncles, cousins, and assorted friends, but with the area’s diverse activities, our family reunion would splinter each day into different groups – some rafting on the Snake River, others day-tripping to Yellowstone or over a mountain pass into Idaho, and a handful rock climbing or undertaking long day-hikes or short camping trips. We would then meet back up in the evenings for dinner, exhausted and happy. 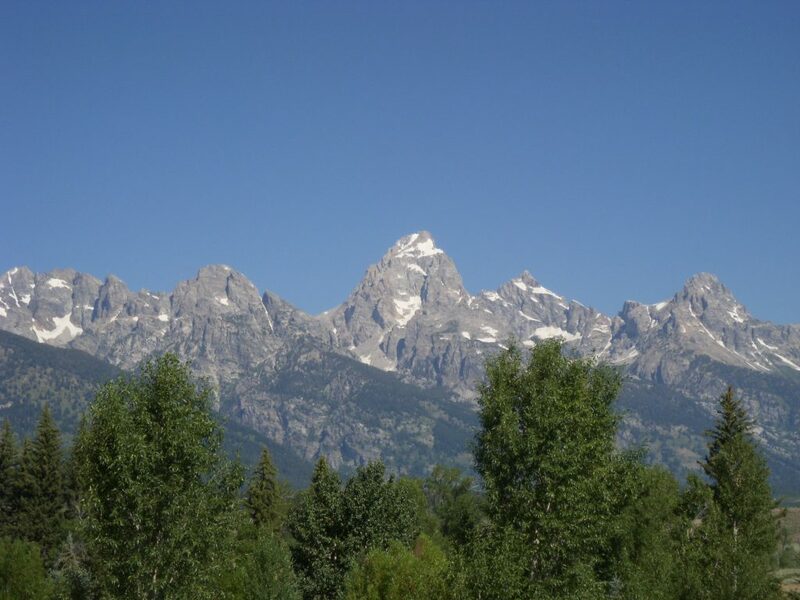 My mom and I climbed the Grand Teton, along with Teewinot and the South Teton, the summer after I graduated from college. Seeing these peaks rising from the valley floor is one thing, but standing on top of the Grand Teton, at 13,776 feet, is an entirely different matter. 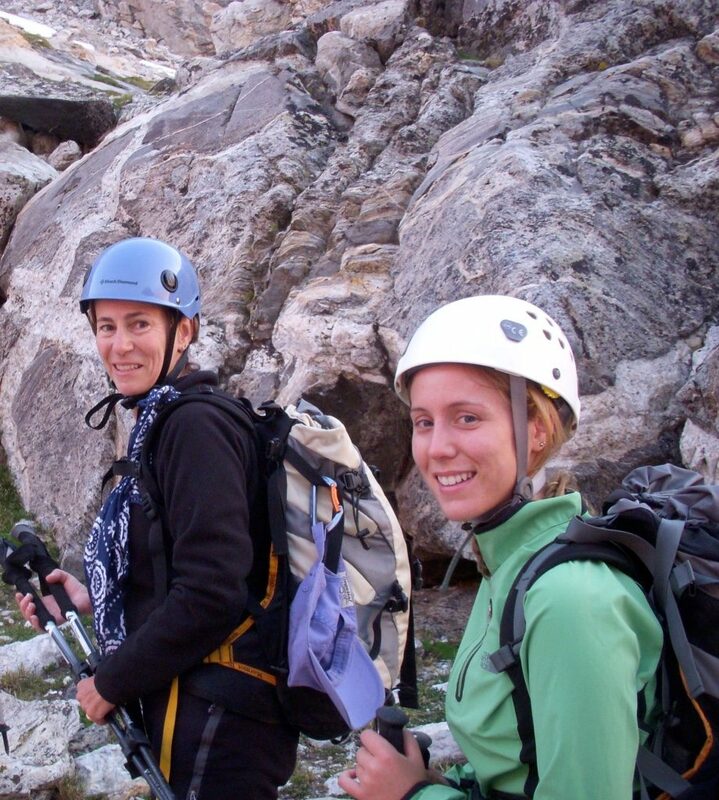 These mountain-scaling adventures, where we trained on rock walls, learned to rappel, and scrambled over sheer cliffs, did more to foster my confidence and self-reliance than any other experience during my formative years. My mom had attempted the Grand Teton without me several times in prior years, but had missed out on the summit thanks to nasty weather conditions. To finally reach the top together, vanquishing the mountain that had mesmerized us for years, was special and unforgettable. The weather conditions on the day of our climb were glorious, with sunny skies and just a few patches of ice to make it feel just harrowing enough. And as it turns out, nothing strengthens mother-daughter bonding like sore feet, isolated campsites, and thousand-foot drop-offs. On the hike out, we met my father and other family members, who were armed with Gatorade (and promises of cold beer at happy hour) and ready to carry our heavy packs, a few miles up from the parking lot. I have certainly never felt so grateful for a family reunion. Hiking and enjoying the park have become an incredibly inclusive and unifying experience for all of my family members, regardless of age. Together, we have our slightly more tame favorite hikes: Amphitheater Lake, at the top after miles of switchbacks, where we would unfailingly stumble upon a bear feasting upon berry bushes; morning jogs up Rendezvous Mountain for waffles at the top of the ski mountain tram; and Death Canyon, for a long day hike and expansive lake views. 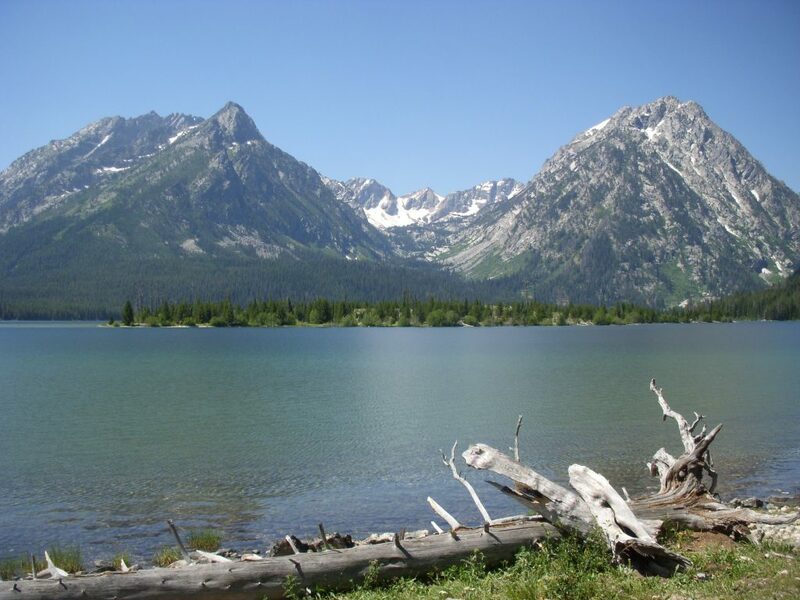 My grandmother, however, preferred String Lake, Jenny Lake, and Phelps Lake. All are relatively flat but still stunningly beautiful, offering a wonderful day hike for those who want to get outside but may lack the physical ability to go up anything particularly steep. Grand Teton National Park is a great place to challenge yourself and go all-out with your adventure goals, but my grandmother and her lake walks always offered a lesson in slowing down. At least once per annual trip, I would take my foot off the gas and spend a day taking it easy with her, soaking up the mountain air and remembering the importance of being with family. The mountains aren’t going anywhere, but quiet moments with loved ones and long conversations with my grandparents, in one of the most breathtakingly beautiful places on earth, were worth prioritizing. When my family visited the park this past June to celebrate my grandmother, who passed away in 2015, I felt closest to her memory during an afternoon walking around Phelps Lake. My family is scattered across the United States, and these annual hiking adventures have become our primary opportunity to catch up with each other’s lives and reconnect. Through our countless life changes, Grand Teton National Park has remained reliable and constant for us all; my cousins and I, for instance, have photographs of us on all of these hikes throughout our childhood and adolescent years, and in a place of pride on his mantle for years, my grandfather had a framed photo of himself on top of a mountain. All of these landscapes hold precious family memories, and a hike on nearly any trail in Grand Teton National Park swiftly becomes a walk down memory lane.